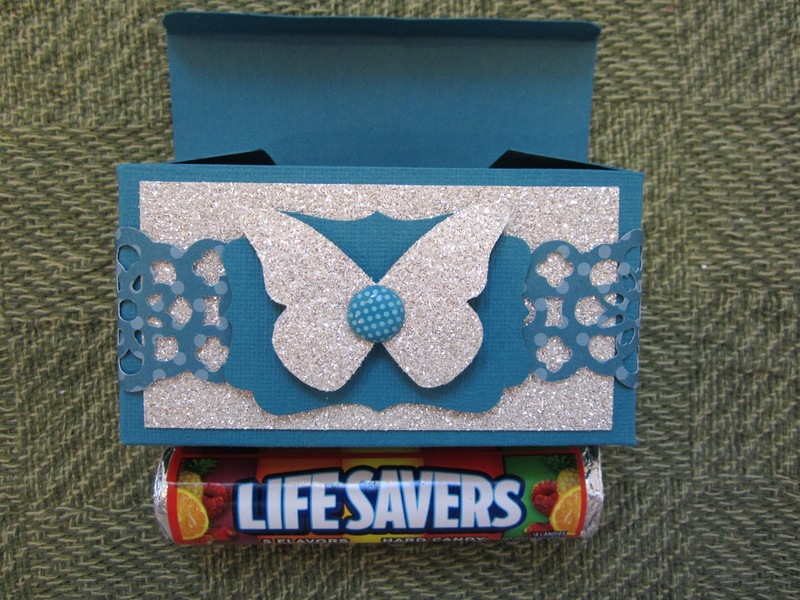 A Butterfly Box with LifeSavers Inside. 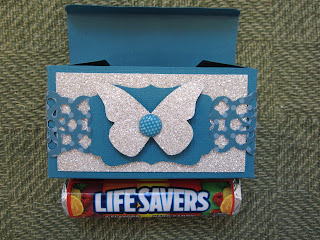 Here's another cute way of decorating the Big Shot Die boxes that Stampin' Up! sells. What a cute gift this would make. This box is large enough to put a pair of earrings or necklace in as a gift to someone special.